This is the Saga of Biorn, an amazing example of animation and storytelling, with an interesting conclusion concerning Christianity. All credit to Benjamin J. Kousholt, Daniel D. Christensen, Mads Lundgaard Christensen, Jesper A. Jensen, Jonas K. Doctor, Steffen Lyhne, Pernille Ørum-Nielsen, Frederik Bjerre-Poulsen, Jonas Georgakakis; ye rock. I find the whole notion of an afterlife puzzling. We live, and then we die. Unless, of course, you believe in magic and fairytales, in which case, we might either get a second chance at things, some kind of reward, or even punishment. I do understand the appeal of an ‘afterlife’; it would be nice if all the good deeds we had done in life, great and small, were recognised by some all-knowing judge who smiled upon us benevolently, gave us a pat on the back, said “well done, here, you deserve some bliss”. And, of course, the corollary, that all bad people, and those who had done us wrong in life, are punished. I mean, it’s only fair, right? Life isn’t fair, but the afterlife is? Is that the way it works? 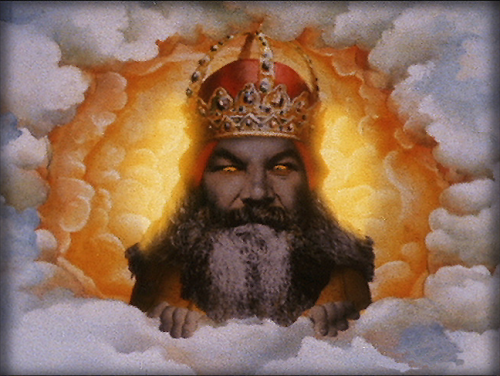 As I understand it, this ‘God’ fellow is the ultimate arbiter of who gets in to the exclusive club known as ‘Heaven’, or of who gets to go on a jolly journey to ‘Hell’. You have to ask then, what are the requirements of entry? I mean, aside from the whole Ten Commandments nonsense, the abstaining from some of the more fun aspects of life, and the general belief in the delusion of a sky-god and his zombie son. If you believe in a heaven you must believe you have a pretty good chance of getting in, otherwise what’s the point? So, are you a paragon of virtue, or the lowest common denominator? Would you join a club that would let someone like you in? 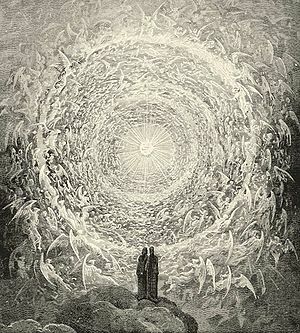 I imagine most people who pray weekly in the relevant temple of their faith believe that they will go to heaven; do you think that they all qualify? Do they live up to your rigorous standards? Because everyone can’t get in, that’s part of they system. By the simple fact of not believing in your peculiar delusion the vast majority of people are excluded from your faith’s vision of heaven. And that’s not just those living now; think about all the people who lived and died before some semi-literate desert nomad invented your faith. The vast majority of everyone ever will not go to your heaven, and I reckon quite a good deal of them are better than you. I don’t mean that as a slight against your character, but you are up against the likes of Socrates, Plato, and Aristotle (who are the foundation of Western science, reason, and civilisation), the genius who came up with oral rehydration therapy (which saves millions of children dying from diarrhea every year), and Norman Borlaug (the guy who saves millions of lives every year by designing better types of wheat). How do you compare? How many civilisations have you defined? How many millions of lives have you saved? Surely, by virtue of their astounding accomplishments, they get to go to Heaven, right? Would you give up your place to someone more worthy? Maybe God would overlook the “believe in me” red-tape, it’s all part of the plan, right? The whole “God’s plan” thing is worrying too. People who die in accidents, of disease, or other such tragedies, are, in the words of clerics, taken before their time, it’s all part of God’s plan. Plus, as an added bonus, they get to go to heaven directly, because of the suffering and whatnot that they had to endure.That’s nice, comforting. It’s not really a random accident that could happen to any one at any time because Nature and the Universe are our best friends and they would never do anything to hurt us. It might even be that, if the human race is ever wiped out by a gamma ray burst from a star billions of light-years away that died billions of years before God was even invented, some religious person’s last thought will be, “it’s all part of the Plan”. The problem with ‘The Plan’ is very simple; if it’s all part of God’s plan, and you get to go to heaven for playing your little role in the plan, doesn’t everyone get to go to heaven? “Well”, you might be saying to yourself, “that certainly solves the exclusivity problem mentioned above”. Yes, it does, but it also means everyone gets in. Everyone. Including Hitler (yeah, I went there). If you believe in ‘The Plan’, you have to accept that everything is part of it, and that every player is doing God’s Will. And God is Good (I’ve been told this quite often, but remain unconvinced, especially by the use of the copula), so everything he does is good, therefore the plan is good. So bad things might happen for a good reason. If this is so, anyone who did anything evil was really just an instrument of God, and so can’t be blamed for their actions, and if they cannot be blamed, they are free from sin, and get to go to Heaven. Even Stalin. If you believe in ‘The Plan’ you kinda have to accept that you will be sharing Heaven with murderers, rapists, dictators, pedophiles (the Catholic Church lets them in already), and all kinds of other nefarious folk, like the CEOs of banks, boy-bands, and anyone who ever appeared on reality TV. So. Let’s agree that ‘The Plan’ notion is fundamentally flawed, and that good people go to heaven and bad people go to hell. I’ll give you, the believer, the benefit of doubt; you are a good and ethical person who happens to wholeheartedly believe in a worryingly transparent fantasy. According to your rules, you get to go to ‘Heaven’ when you die. While there you meet all your dead relatives, friends, and the other cool kids who got passed the bouncer, because they also abided by the rules. After a while of hanging out with the angles and their dull music you wonder where all the good music is. It’s in hell. Ah well, you still have bliss on tap. You look around and your best friend Timmy isn’t among the saved. You ask why and find out he went to hell because he didn’t believe in God. So. Your friend burns for all eternity. While you get bliss. That would really ruin my buzz, if I were you in heaven (but I wouldn’t be in heaven, because it’s not real). Knowing that perfectly decent people suffer for no other reason than they don’t believe in your brand of hysteria would really tarnish the whole good vibe thing that Heaven had going on. How could you (after-)live with yourself? Unless God wipes your memory, which is deceitful, or you are a cruel soulless person, in which case you have to wonder how you got to heaven in the first place, and what kind of sycophant are you? Sorry, that last bit is unfair, believers are not sycophants, that’s the clergy. Believers are chattel. But the problem really is that you already agreed to abandon ‘The Plan’. If God doesn’t run the show, what’s the point of having a God? Okay, fair enough, you can make the case for human agency, but this removes God from being a loving, caring blah blah blah, to a remote and uncaring arbiter who decides what is good and what is evil. Why is he uncaring; well, if he cared he wouldn’t let bad things happen, would he? So, God is a judge; there is no right of appeal, no other avenue open to you. He makes the rules, he enforces them, and he is the king of heaven. I’m sorry, but that’s a dictator. And dictators exist to be overthrown by popular revolt. The Democratic Republic of Heaven would be a nice thing. It’s almost a pity that there is no God to overthrow, or no Heaven to liberate. Anyway, we’ve given up ‘The Plan’, and God is just a judge. Heaven is an exclusive club of pretty much all the most boring people ever. Sure, there are some good ones in there, but let’s face it, hermits, martyrs, the chaste, and the pure can’t really have many interesting anecdotes to pass the time with. And you will have a lot of time to pass, an eternity in fact. I know it’s an old joke, but all the fun people will be in hell, along with all the evil ones, the not-so-bad-but-didn’t-make-the-cut ones, and the actually-wonderful-people-who-didn’t-believe. Which makes heaven seem really unfair and boring. It wouldn’t be so bad if religion had just left heaven as an unknowable state of being. They had to go and make it a place, a thing, a kingdom with walls and subjects, of eternal peace, and limited imagination. And that’s just stupid. Even so, an unknowable heaven is only slightly less redundant. You could say “but, you admit, it’s unknowable, you don’t know that it doesn’t exist, you can’t prove its non-existence”. You got me there, that’s a humdinger. I also can’t prove the non-existence of basilisks and centaurs, but just because we can’t prove something magical doesn’t exist doesn’t mean that it does. I’ll wait here until you bring me evidence of an afterlife; evidence, mind you, not the collected ramblings desert nomads and delusional parasites, feverish hallucinations, or other such deceptions . You didn’t exist for millions of years before just recently, and you will cease to exist again quite soon. Enjoy a moral life while you can, because you won’t get a second chance; you’ll just be dead, forever. 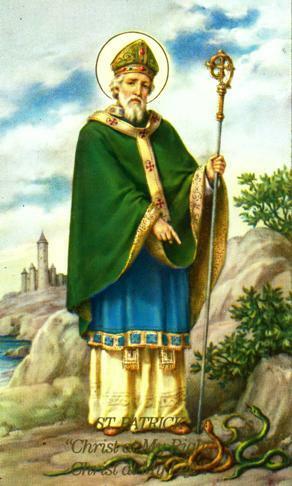 The Apostle of the Irish. 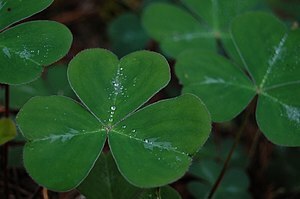 Saint Patrick is, at best, an enigmatic figure, mostly myth and very little fact. The apparition of this historical character which is held in the public mind is vague at best, and there are many half- and mis-truths circulating on the Internet and the bookshelves about him. While several of the fantastical elements of his legend have been dismissed from popular consciousness, many more persist, and while there has been a substantial amount of investigation as to who the ‘real’ Patrick was, the myth is sustained. This is, to a certain degree, understandable; fantasy is sometimes more fun than reality, that’s why we made it up. I believe, however, that the history of Patrick, and the manner in which his myth has been used, is far more interesting than the myth itself. 1. Patrick was born in Scotland on a specific date (385 is the popular one), began his mission to Ireland on a specific date, and died on a specific date. Sorry, but no; there are no dates for Patrick or anything he did, except that his conversion efforts probably began after 431. 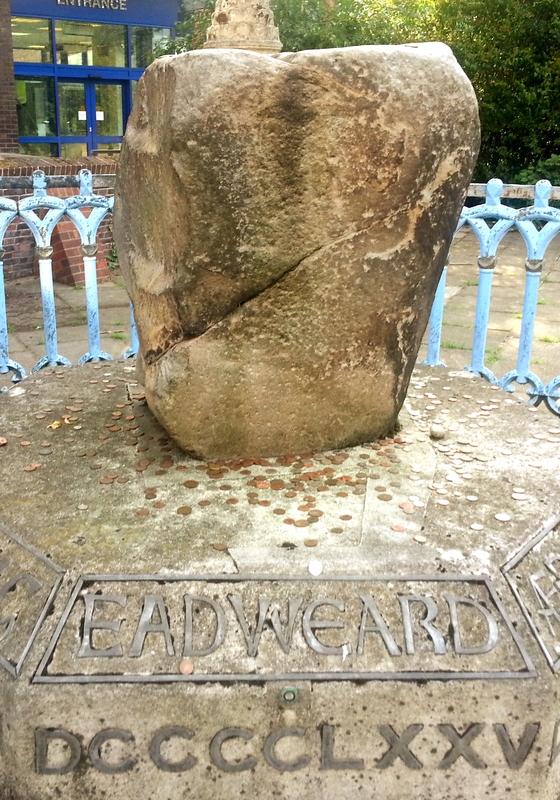 He was born in Roman Britain, somewhere on its north-west coast, which includes bits of modern-day England and Wales. And the year of his death is recorded four times in the Annals, which is impressive, since even Jesus (supposedly) only rose from the dead once. 2. He studied at the monastery of Lérins in France, or was a student of St Germanus of Auxerre. No proof for this whatsoever. Not a shred. This little ‘fact’ was invented hundreds of years later to provide this rogue preacher with an honorable pedigree, and to ‘prove’ that he was a legally ordained bishop, and not just some random guy who heard voices. 3. Patrick’s mission covered the whole island of Ireland. Sure, but only if by ‘the whole island’ you mean ‘Connacht and Ulster’. There is no good reason to believe he ventured into Leinster or Munster. Again, this was inserted hundreds of years later by the writers of Armagh who were doing their level best to make themselves top dog over all the Irish churches. 4. He converted all of the Irish to Christianity. Nope. Wrong again. There were already Christians in Ireland, so many in fact that Pope Celestine dispatched a bishop from Rome to rule over this flock in 431, a man named Palladius, who is specifically referred to as ‘the first bishop of the Irish’ by the chronicler Prosper of Aquitaine. These Christians were in Leinster, and so the theory goes that the mission of Palladius was subsumed into the myth of Patrick over hundreds of years so that Armagh could claim the entire island as being under their authority. 5. The shamrock/trinity thing. Again, no evidence. Or for the snakes thing (but nobody ever really believed that one anyway, right? ), or for his battling with druids, or converting High-Kings at Tara (there weren’t any High-Kings at the time, and they wouldn’t have lived at Tara, it was a ceremonial site). Some reckon that the banishing of snakes is symbolic of his getting rid of the native paganism (which he didn’t, it survived til at least the 7th century) because the druids painted snakes on their bodies. 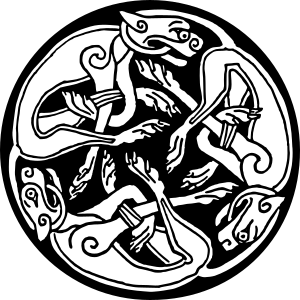 There is no evidence for that, and since there were no snakes in Ireland that image may have been unfamiliar to the native population anyway. He didn’t invent the Celtic Cross (I really don’t know where a certain channel that specialises in history got that one from), and he didn’t superimpose Easter over native traditions, but this would, in fairness, at least follow the well-established pattern of how Christianity co-opted local traditions, although the Paschal celebration had a habit of wandering, and no-one knows what calendar Patrick used. 6. He’s a saint. Oh no wait, he isn’t. Not officially anyway. He was never canonised, but that’s just the old-school way of doing things; many saints were never officially canonised, but given a blanket get-into-heaven-free card. And once he began appearing in stained-glass windows in churches, and people started having parades, and naming things after him, it would have been rather hard for the Vatican to say “ah, hang on, he’s not on our list”, so Patrick is, in a sense, a saint by popular consent, which is how sainthood was decided before the Church started taking the fun out of faith with rules, tithes, and sin. 7. Patrick cunningly converted the Irish with wordplay by replacing their worship of the sun with veneration of the Son. That is just stupid; neither he nor the Irish spoke English, no-one did, it hadn’t been invented yet. And you can’t change any combination of grian or sol into mac or filius (the Irish and Latin for sun and son respectively) by any stretch of the imagination. And besides, the worshiping of things would have been anathema to a Christian; the sun may have been a symbol of Christ or God, but to worship it as God would have been heretical. 8. He was the first Protestant. Again, not invented yet. There have always been schismatics, heretics, dissenters, and reformers in the Christian Church, but Protestantism refers to a very specific movement which began when a man nailed his thoughts to a door over a thousand years after Patrick died. To call Patrick a Protestant is deeply historically inaccurate. He is venerated by the both the Catholic and Orthodox Churches (to varying degrees), and several Protestant Churches, and was accepted as a saint long before all these Churches formally split up to pursue their own careers. Patrick wanted Us All Dead. What do we really know about Patrick? 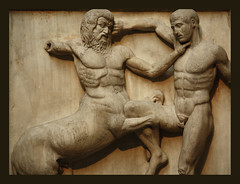 Very little, but enough to build a historical figure more interesting than the myth. His second appearance in Ireland seems to have been due to a personal call from God, rather than being dispatched on an official mission from Rome. So right from the start, Patrick is a free radical in the Christian Church. He did convert people, build churches, and all that, but may not have been a popular figure after his death as his cult largely vanishes until Armagh stoke the fires a few hundred years later for their own ends. The most fun possibility about Patrick, in my opinion, was that he was trying to kill everyone. Seriously. Apocalypticism was really popular in the 5th century; some missionaries hoped to accelerate the return of the Messiah by going to the extremes of the Earth to convert whoever they found. Patrick, considering that he wrote a letter defending his actions in Ireland against the disparaging remarks of bishops, might well have been one of these apocalyptic charismatics, not unlike certain elements of American TV evangelism. What may be a wonderful irony is that, because of this letter, Patrick was remembered while the bishops, who may have been the true founders of Christianity in Ireland, were forgotten. Patrick was probably an evangelical Christian who went rogue, a fact that Armagh airbrushed out in their great myth-building books about him, inventing a good and orthodox Christian hero who performed magic tricks. And he didn’t wear a pointy hat. For the last few days, an amusing little news report has caught the attention of a large number of believers and non-believers alike; apparently the Zodiac, and therefore all astrology, is inaccurate, according to the research of an astronomer from Minnesota. Because we didn’t know that astrology was hocus pocus nonsense already. In fairness, the relevant point being made by the Minneapolitan is that the moon’s gravity has such an effect on the earth that the Zodiac used by astrologers is one month out of sequence with reality, and, as a bonus inconsistency, they are also ignoring a 13th sign. The original article which brought this to light does mention that astronomers and astrologers have known of this disparity for decades, but have remained silent on the issue as, well, it hardly matters, does it? It’s astrology, who cares? I thought little of this debate, it is nonsense after all, until I came across several articles which essentially hope to calm the fears of believers; their signs, contrary to the hurtful words of the bad scientist man, have not changed, according to the helpful and foresight-gifted astrologers, who are in no way economically dependent on sustaining a system of belief which has no true predictive properties but still manages to draw a good deal of money from the gullible. The general theme was one of “Don’t worry”, which should have been followed immediately by “all this Zodiac stuff is an edifice carefully constructed, yet still utterly meaningless, from monkey filth, and the monkey who made it is lying to you”, but, sadly, all the reports clamour to point out “you star-sign hasn’t changed”. Because that’s the key piece of information to take from the debate. A Leo is still a Leo, and has all the inherent attributes of a Leo gifted to them by the stars, because Western astrologers follow a tropical system. Point missed; well done Media. This is a non-story; the first article was entertaining, and possibly illuminating to some, but to allow astrologers to retort grants them a level of credibility they should not be given. 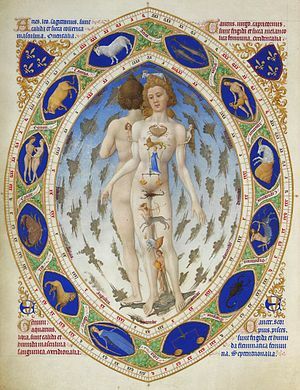 Astrology and astronomy were one and the same thing for most of human history, just as chemistry was once alchemy, and medicine was witchcraft. But then, things changed; the Enlightenment took hold. From ill-conceived half-truths and unsupported conjectures we derived theories and facts; we separated the chaff from the wheat, the nut from the shell. It was a defining point in human history.The valuable stuff that made the cut became science, the detritus became fashionably ‘alternative’. Reason and academic rigour were born and gave rise to the modern scientific, secular, world. Nonsense masquerading as science has survived both on the fringes of society, and in popular culture, in tabloids, and, increasingly, on the Internet. Copernicus hammered the first nail in the coffin of geocentric religion with his heliocentric model of the solar system, and, building on that, it was eventually discovered that we live on a small planet in the middle of nowhere in a very big somewhere. After hundreds of years suffering under the tyranny of Ptolemy’s unchanging modal of the universe, which the astrologers still adhere to like barnacles, a new system emerged which used observation, mathematics, and reason to design a modal which had true predictive value. 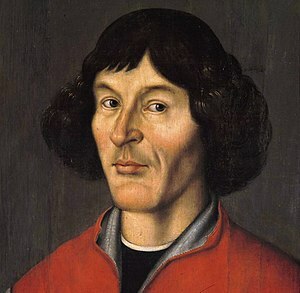 Conveniently, when Copernicus and his ilk carved the pith of nonsense from the flesh of facts, they not only shook faith in a supreme deity to its core, they also divided astronomy from astrology. Taking data, building a theory, and then testing it through observation, and then of course refining the theory, provided us with a neat and practical modal of how the universe worked, which is far more useful than making stuff up based on broad generalities and coincidence. Astronomers dumped everything else, everything that made no sense, that couldn’t be proved, that couldn’t be falsified. Stars are enormous balls of gas and fire, they don’t care if you were born in July, they can’t predict if that Libra you met online is the person you have been waiting for, they won’t give you next week’s lotto numbers, and they don’t want you to be happy. Stay out in the sun too long and you’ll see how much a star likes you. This minor conflict between astrologers and astronomers is indicative of a larger issue. People believe in astrology, a lot of people; one would be too many. It is a strangely popular ailment, it appears in countless newspapers and magazines. On the other hand, it is not as insidious as religion, and there’s a church, synagogue, mosque, or some kind of temple in every city and village in the world. Astrology is not unlike alternative medicine, except I’ve never heard of anyone dying from astrology. It doesn’t appear to be a ‘bad thing’. Astrology in the same vein of tedium as tarot reading and ghosts, superstitions which endure, but still not as damaging as other such nonsense, like creationism and faith-based ‘science’, which seem to be increasing in popularity. This may be a response to the increasingly secular and rational world we live in, another omen of which is the rise in religious conservatism and extremism. There is a war on science waged by ignorance, and astrology is an accessory to this crime. You may think I am exaggerating the dangers of this zodiac fantasy, but it is a symptom, an awkward itch, of a greater and ever more virulent disease; the trend towards the alternative, no matter how daft it is. It’s one thing to read your star-sign in the paper for fun, or the Bible as literature, another thing entirely to actually believe it; chicanery paraded as fact is to be regarded with contempt. Fairies and star-signs, humans and dinosaurs living side-by-side, a ‘museum’ dedicated to Noah’s Ark, homeopathic ‘remedies’, ghost-hunters on TV, men in dresses who pontificate about morality, conspiracy theorists; delusion and ignorance are laying claim to the world, and they must be resisted, and driven back to the abyss. As a final note, if you are a member of any of the major Christian faiths (and probably Judaism and Islam too, but I’m not entirely sure), and you believe in astrology, you are a heretic. Astrology is paganism, possibly even borderline idolatry. According to the Bible, astrologers are bound for Hell, Isaiah 47:13-14 “Let now the astrologers, the stargazers, the monthly prognosticators, stand up, and save thee from [these things] that shall come upon thee. Behold, they shall be as stubble; the fire shall burn them; they shall not deliver themselves from the power of the flame…”. On the other hand, the three Magi were astrologers, so clearly the Bible has mixed views on the issue. Either way, one’s a myth and the other is a superstition, and it doesn’t really matter which is which.